Content Marketing at Austin-Bergstrom Airport – 789% Lift! When we talk about content marketing, marketers are usually referring to those ambiguously successful efforts like brand building, awareness and top of the funnel engagement. Efforts not accountable to sales numbers, of course. How about a form of content marketing that boosts the selling price of an item 9 times over? 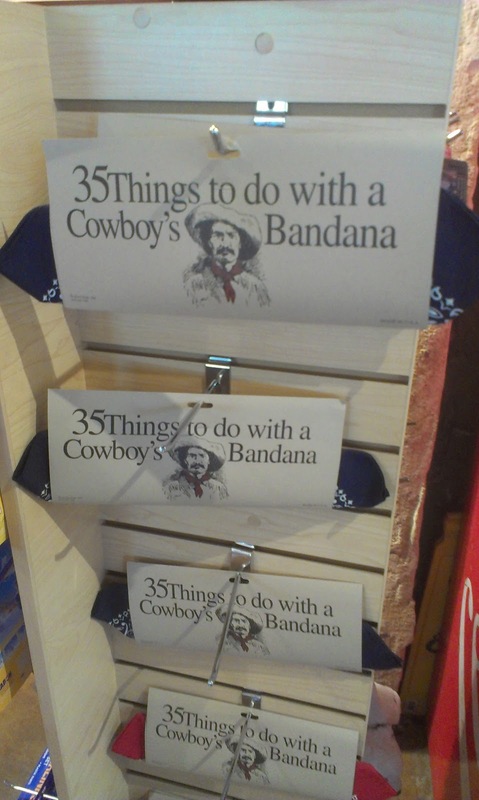 Check out this bandana for sale at the Austin airport. Plus you get the list of all the amazing things you can do with the bandana which includes such helpful suggestions as ‘a sling for a broken arm’ and ‘a muzzle for a biting horse.’ It’s one of those things where you know it’s kind of lame, and the person you give it to knows, but it qualifies as an appropriate gift so you get credit anyways. 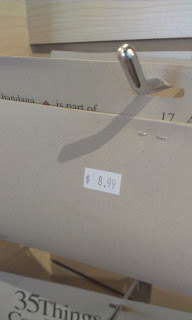 In the end the ten cent piece of paper turns the $1 bandana into a $8.99 souvenir gift. Now that’s what I call content marketing with ROI!